If you are a home improvement do-it-yourself enthusiast, then you probably are aware or at least familiar with brushless motor technology. 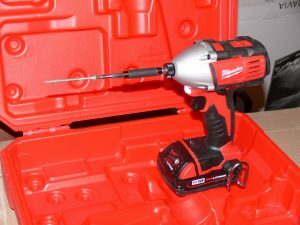 Cordless power tools these days come equipped with modern brushless technology that makes them more efficient to use. You will notice prominent brands like Milwaukee, Makita, and DeWalt offering brushless kits in a wide array of options and varieties. While you are intrigued by the prospect of buying one, you still aren’t sure how you can benefit from it. Well, you can learn about the potential of making it a wise investment if you read the rest of this post. The concept behind a Makita, DeWalt, or Milwaukee brushless kit is to provide a consumer like you a line-up of modern cordless tools powered by sophisticated battery platforms, the purpose of which is to help you perform tasks without the usual limited range and power options found in conventional battery-powered tools. It is imperative that you learn of the difference between a device with a brushed motor and the one with a brushless variety to figure out if the latter is the right solution for your needs. There is added versatility for a tool equipped with a brushless motor since it can adjust based on what is required by the task at hand. For instance, if a drill or saw encounters added resistance, you expect it to draw more power from the motor. On the opposite side, the lack of resistance will likewise lessen the pull. The idea is to relieve the battery of unwanted stress, thereby managing its power in the most efficient manner possible. As a result, a tool with brushless technology expects to operate longer and more efficient. Furthermore, a Milwaukee brushless kit is a wise investment to make because you expect your tools to last longer than conventional devices with brushed motors. The reason is that a brushless motor does not experience or suffer from friction or voltage drop, thereby extending its lifespan as well as its overall performance. You expect the same longevity and optimum performance even if you use your tools more often than you usually do. The apparent downside or drawback is the price, which is why some people are apprehensive about purchasing a brushless kit. The reality is that if you choose to buy brushless tool kits, then you should expect to pay about 25% more of the price of standard lithium-ion cordless tool kits. If it is something too expensive for you to swallow, then there is no blaming you if you don’t put your money on a brushless kit. However, there also is no denying the benefits you are getting out of the considerable investment you’re making. Aside from improved performance, you won’t need to replace your tools for years to come.